Look who's back! Jo Huddleston has been writing Sweet Southern Romance again, and she wants to share it with you. You can read Chapter 1 below. Please leave a comment, and we'll draw a winner March 27 to receive an eBook copy of With Good Intentions. Jo is a multi-published author of books, articles, and short stories. Novels in her West Virginia Mountains series, her Caney Creek series, and her standalone novel, Tidewater Summer, are sweet Southern historical romances. 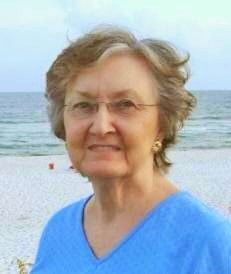 Jo is a member of ACFW and the Literary Hall of Fame at Lincoln Memorial University (TN). Learn more at www.johuddleston.com where you can read first chapters of her novels and novellas and also sign up for her mailing list. With Good Intentions is a sweet romance spiced with deception, set in 1959. One lie leads to another until William may have dug a hole too deep to escape. By stealth, he learns that Jean can’t associate with anyone who is dishonest. To win Jean’s love, William must convince her that his lies flowed from good intentions. William pushed his chair away from the conference table and rose. “Yes, sir.” His daddy was a workaholic, especially since his wife, William’s mama, had died five years ago. Oscar Wainworth put in a sixty-hour work week, never leaving a job undone. He expected similar dedication in his staff. Finally outside the conference room and waiting at Gloria’s desk for her to collect the files, William exhaled. He didn’t mind that his daddy booted him out of the meeting—anything beat sitting in a stuffy roomful of cigar smoke. William carried his luggage up to a second-floor hotel room, then returned downstairs to grab a late lunch in the hotel’s dining room. When he crossed the lobby, the antiquated wooden floors groaned beneath his every step. Inside the dining room, booths lined one wall and tables covered with white linen tablecloths dotted the floor space. He asked the hostess for a booth, and she seated him at a high-back wooden booth near the entrance. After a light lunch of steaming vegetable soup and a ham sandwich, he found a pay phone in the lobby and stepped into the booth to call Birmingham. William stepped out of the telephone booth to walk outside the red brick hotel. He stood on the sidewalk, hands shoved into his pants pockets. Without haste, he scanned what he could see of the town—to his left, a bank stood on the corner, and to his right, a drugstore anchored that corner, its front facing away from him. Not many folks moving around, and from the casual dress of those passing by him, then had to be college students. He glanced at his polished shoes and creased dress pants—shades of Oscar Wainworth. He’d stand out like a palm tree at the North Pole among these young people. Might as well put a sign on his back saying, Here I am from the big city. I want to buy your property. He returned to his hotel room, tugging off his necktie as he opened his luggage. Later, again on the sidewalk, dressed in blue jeans with his long-sleeved dress shirt now open at the neck, his black leather bomber jacket, and loafers, William breathed in the fresh air. A satisfying change from the pollution that filled the air over Birmingham. Turning to his right, he sauntered west until he reached the corner and stopped. He faced the street in front of the drugstore and read the signpost: College Street. Some committee must have worked many hours to come up with that original name—the street sliced through downtown Conroy, Alabama, between the college and the town. The next block to his left held the businesses Wainworth Development had bought. Except for the ice cream shop. Might as well head on down there. He crossed the street when the traffic light changed. Again on the sidewalk, he passed the stores that would soon disappear once Wainworth had acquired all the properties. Before he reached his destination, the clock tower atop a lofty, red-brick building across College Street tolled the hour. Three o’clock. A spattering of foot traffic moved across the manicured lawns of nearby campus buildings. Probably class-changing time. A short distance farther, William stood outside the building whose purchase depended on him. The sign above the door read: Stewart’s Ice Cream Shop. Inside, William verified that his daddy had been correct when he referred to the business as a hole-in-the-wall place. With about only 400 square feet, the twelve-foot wide, deep room measured about thirty-five feet from the entrance to a closed swinging door in the back. Along the right wall, chairs occupied the length of the room, stopping at a pay phone attached to the wall and a display case that faced the entrance. The tile floor shone, and on his left stood three ice cream cases, each about eight feet long. Their fronts were white and spotless, and no fingerprints smudged the glass through which sat numerous opened tubs of ice cream. The sweet, pleasant scent of ice cream filled the room and drew William to follow the customers already in the shop. He fell in line with a few college students awaiting their turn to be served. The kids weren’t impatient, but rather they calmly shuffled toward the cash register. He’d skipped dessert in anticipation of his visit to the ice cream shop, and the various flavors listed on the wall tempted him. An attractive woman probably in her late forties with dark hair and a pleasant face worked efficiently behind the counter. Another female stood behind the tall display case near the rear of the room. He could only see the back of her head and didn’t have a clue to what she did. Soon William stood first in the line. William paid for his treat and took a seat in the last chair against the wall. From there he had an unlimited view of the business except for the area behind the display case to his right. His attention fell to the contents of the case. Behind the glass sat numerous delicious-looking desserts—artfully decorated cakes and pies waiting to be personalized with someone’s name, a tray of individually-wrapped ice cream sandwiches, and two log rolls made of chocolate cake and vanilla ice cream. Everyone had been served, and either left with their ice cream or taken seats along the wall to eat their treats. The woman who had served him sauntered toward where William sat. She stopped at the empty counter space across from him, reached underneath it, and brought out a large piece of flat cardboard decorated with balloons of red, blue, green, and yellow and the name of the ice cream shop. William angled his body toward the entrance, pretending lack of interest in what the woman had said. He watched the traffic outside the front window but kept his attention on the conversation before him. The girl behind the display case joined the woman assembling the cardboard into a cake box. “No, ma’am. No one has come by or called, which is unusual for a Monday. For weeks now they’ve been persistent, showing up here almost every day.” The girl had on a white basic bib apron, as the older woman did, over her skirt and blouse and wore blue Keds on her feet. “Mama, I hope so, but I doubt that.” The two could be sisters, as attractive as they were, rather than mother and daughter. Probably the owners. The girl reached beneath the counter and pulled out another sheet of cardboard to give the older woman. “I’ve talked with some of the other business owners, and it appears we’re the only holdouts on the block. Good thing William had changed clothes before visiting their shop. Jean’s mama put the assembled boxes underneath the counter and started toward the cash register to help new customers. The girl returned to whatever kept her busy behind the dessert case.